Are you looking to go a little greener? Or maybe you just want a small crossover without compromise. 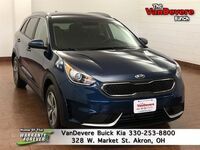 Either way, the Kia Niro is going to be an excellent solution for you. 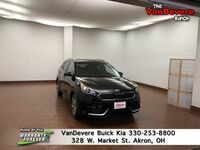 What’s more, VanDevere Kia can help you get a 2019 Kia Niro in Akron, OH. The Niro was built as a hybrid vehicle from the ground up. With both an electric motor and a gas engine, it gets the best of both worlds without looking like a quirky weird hybrid and without compromising on the features and capabilities that you would hope to get from a vehicle in this class. 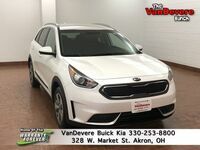 If you would like to see what new Kia Niro models we currently have in stock at VanDevere Kia, then click the link below. 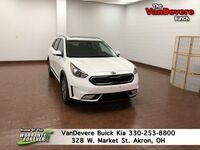 Otherwise, you can keep reading to learn all about the 2019 Kia Niro, and what makes it such a great option for nearly all car buyers. The 2019 Niro puts up some truly impressive numbers. With both a gas engine and an electric motor, it has a respectable 139 horsepower and a truly impressive 195 pound-feet of torque. However, the most impressive numbers come in terms of fuel economy. The base trim can get up to 52 mpg in the city and 49 mpg on the highway. 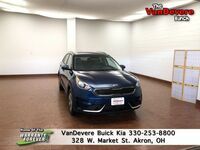 As if those numbers weren’t impressive enough, not only does the base model FE get those same numbers, but it has a starting MSRP of just $23,490 and still comes with the 10-year or 100,000-mile powertrain warranty that you have come to expect from a Kia model. The dimensions of the Kia Niro make it quite capable and drivable. Not only does it have a footprint similar to most small sedans, making it very maneuverable, but it also has seating for five with 101 cubic-feet of total cargo room. Even with five passengers, you still have room for 19.4 cubic-feet of cargo, and if you fold down that second row, your Niro can accommodate 54.5 cubic-feet of cargo. The Niro comes standard with a 7-inch infotainment screen that can be upgraded to an 8-inch screen with navigation at higher trim levels. All 2019 Niro models have both Apple CarPlay and Android Auto functionality with Bluetooth. There’s also a long list of safety features available for the Niro including blind spot detection, forward collision warning system, smart cruise control, autonomous emergency braking, and more.